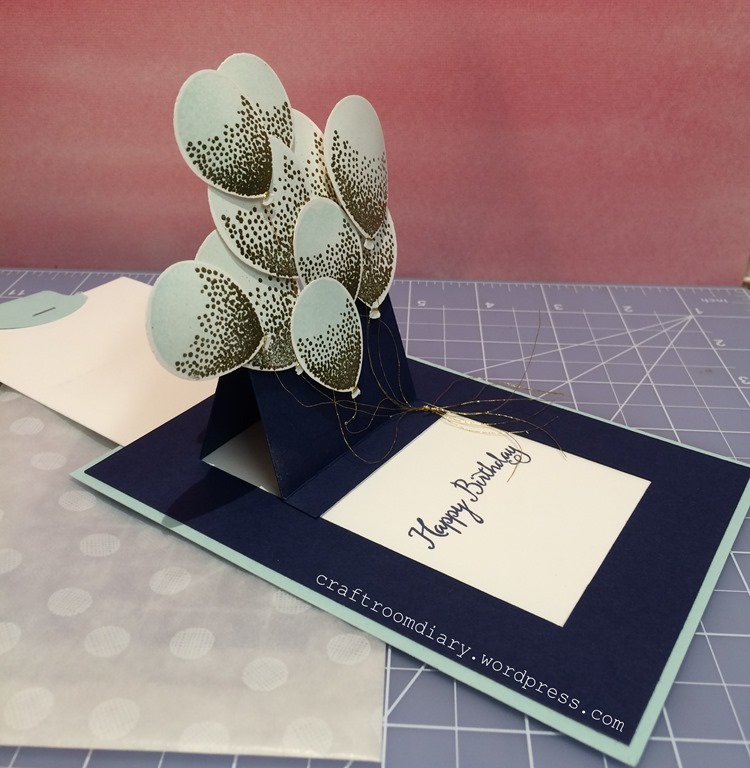 Today i am sharing a card that i made recently, i had seen a similar card on Michelle Last’s blog and it reminded me of this pop up technique that i hadn’t made for ages! So of course i had to make one, I used the Stampin Up! Balloon punch and a matching stamp set. How the pop up works is that you pull the tab and that pops the balloons up and reveals the birthday message. Instead of an envelope i used a polka dot treat bag. Great idea!!! Love the balloon punch!! !